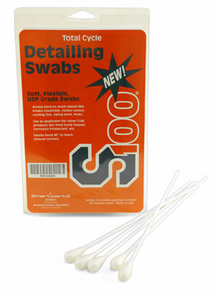 S100 Motorcycle Detailing Swabs clean in hard-to-reach places. Each swab is 8 inches long with a generous head of cotton. Swabs are safe and gentle on all surfaces. S100 Motorcycle Detailing Swabs go where your fingers can't to clean all the nooks and crannies of your motorcycle. Each S100 Motorcycle Detailing Swab is much larger than the cotton swabs you find around the house. These giant swabs are made for detailing. Grease and grime can go anywhere - S100 Motorcycle Detailing Swabs can clean anywhere. S100 Detailing Swabs Work Great! We use these detailing swabs on both of our C7 Corvette Z06's. They work great and are flexible enough to withstand any angles and pressure applied. 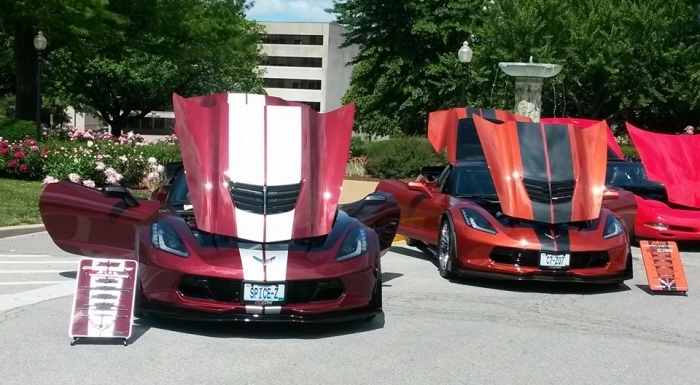 They help give us the edge we need when attending Corvette Shows and events across the country.